Exacta Packaging Designs - Premier US Mosaic and Bullnose Manufacturer | Exacta has added Bullnose manufacturing capability. Exacta has added Bullnose manufacturing capability! 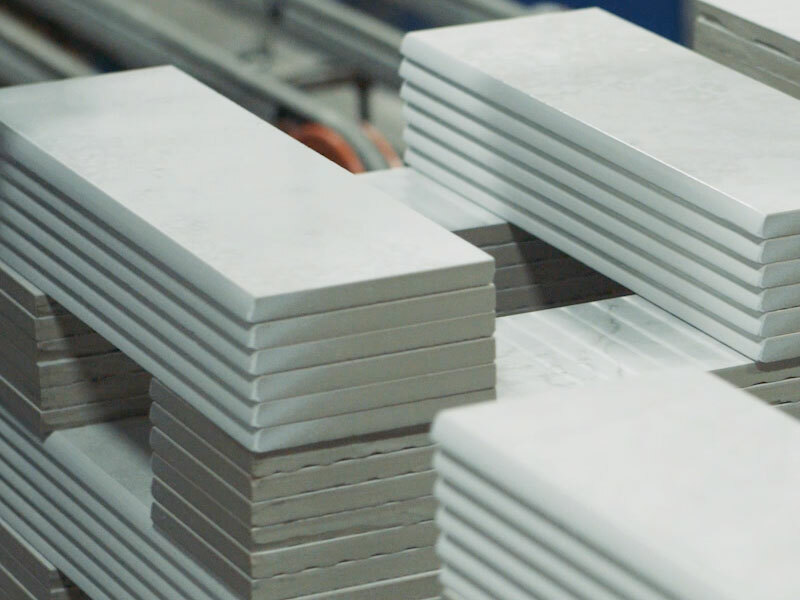 With two automated bullnose lines as well as two automated paint lines, Exacta has a large production capacity for making many different sizes of bullnose and stair tread tiles. We can paint the bullnose edges or polish the edges of colorbody bullnose.